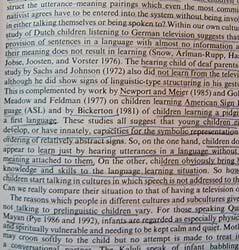 When you underline everything, you underline nothing. I can’t even stand it when people deface their own books, let alone a shared, public resource. Quite often you will find that the underlined sections are completely irrelevant anyway - makes you wonder how some people actually study when the focus on the wrong things.